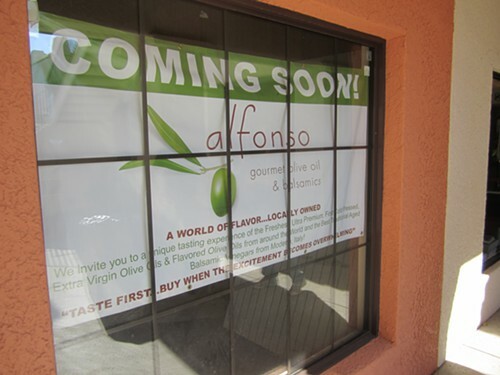 A new store called Alfonso Gourmet Olive Oil and Balsamics is opening in St. Philip's Plaza. We spoke with some of the marketing folks from St. Philip's Plaza, and they said the store will feature olive-oil tastings when it opens. Other than that, though, I know very little about the shop, except that I'll be dropping some serious coin there once it opens.